Beautiful ring on this model. This is one of my favourite models. Dating from the early 1930s to the mid 1940s. This one is wonderful condition as you can see. It has been stripped down and rebuilt after each part has been cleaned and polished. It has been fitted with a best quality hand plaited braided cord, an electronic microphone and a GPO specification line in cord with a UK plug socket fitting. 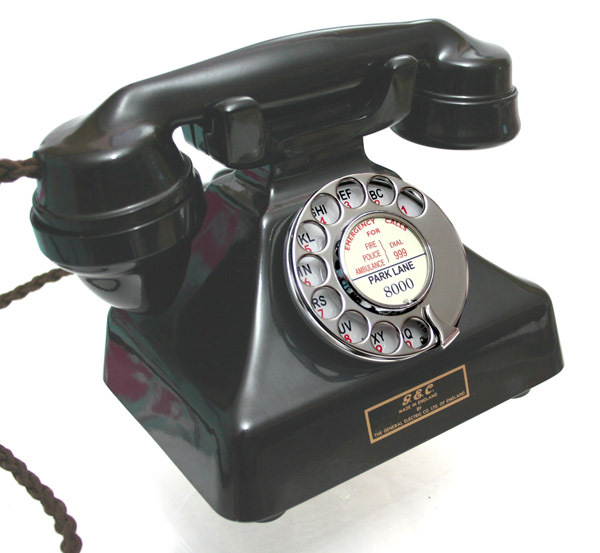 It has been fully tested to both dial out and receive perfectly. 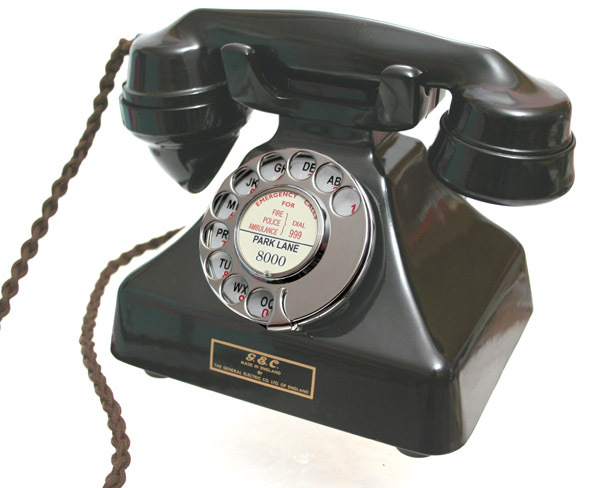 This model was made by GEC and is called a GECoPHONE and this is what is marked in the oval of the handset. 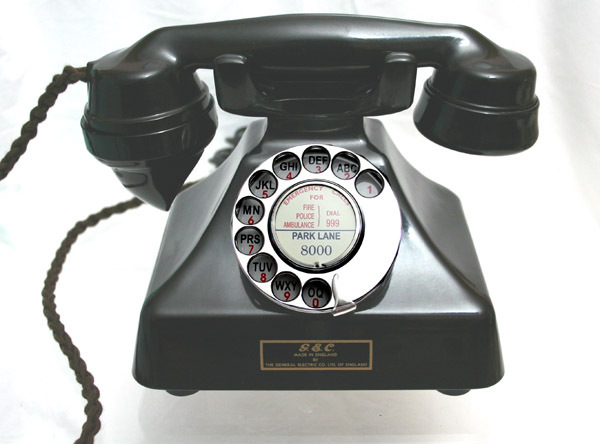 I will make a dial label with your information at no extra cost and of course this telephone comes with our life time of ownership guarantee.